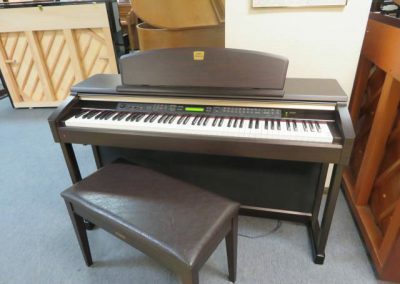 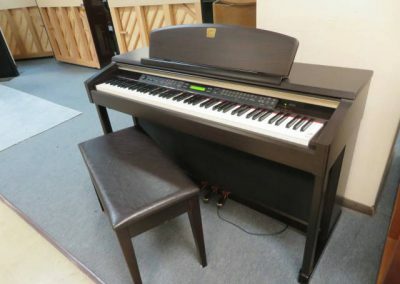 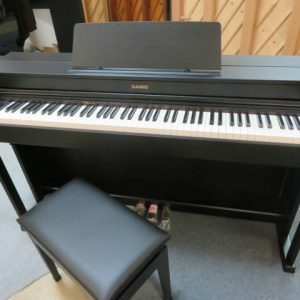 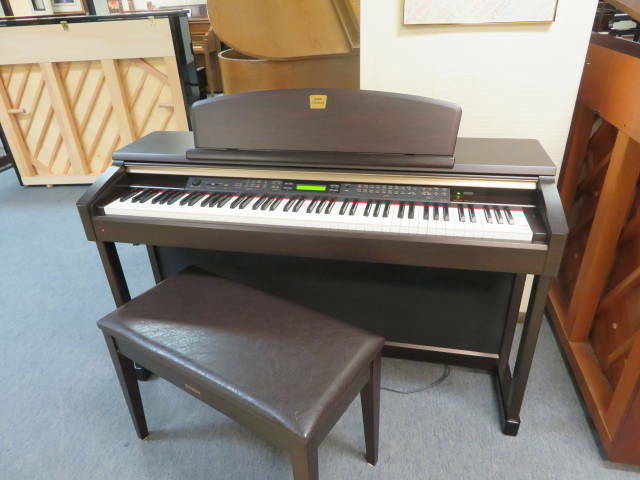 Yamaha Clavinova model CLP-170 with original Yamaha deluxe duet bench. 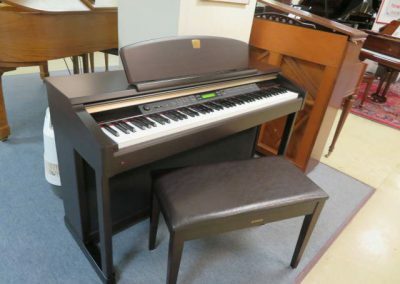 This was Yamaha’s “Flagship” model in the CLP line. 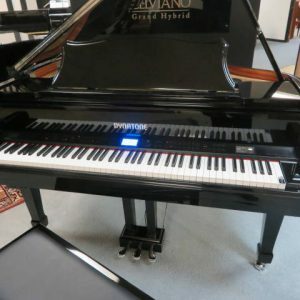 Graded GH3 Hammer Action and AWM stereo sampling for truly authentic sound from a 9’0″ grand piano to symphonic strings. 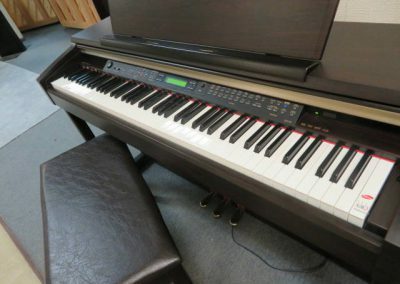 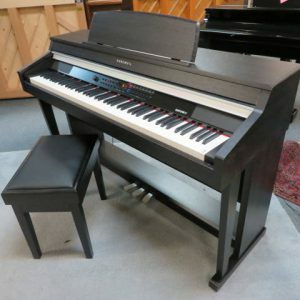 This Clavinova has over 200 sounds to select from including all of the 128 General MIDI Voices. 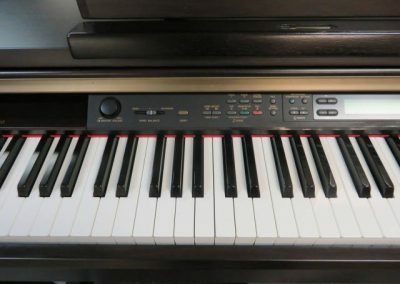 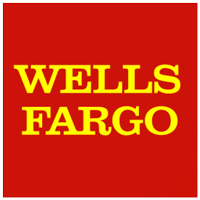 Other features include layering, split keyboard, built in reverb, and muti track recording with a built in 3.5 floppy disk. 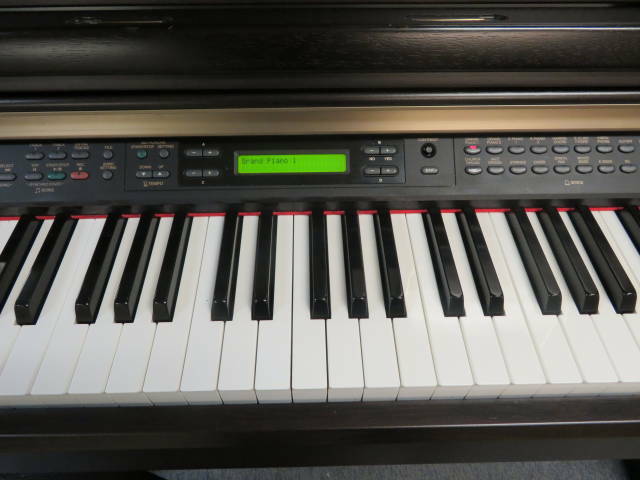 This Clavinova has just been serviced by our electronic specialist and is in excellent working order. 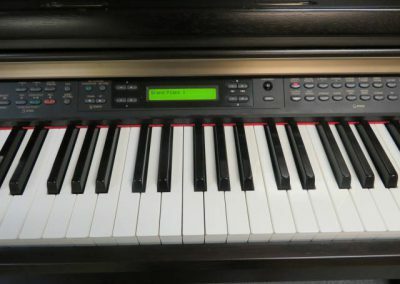 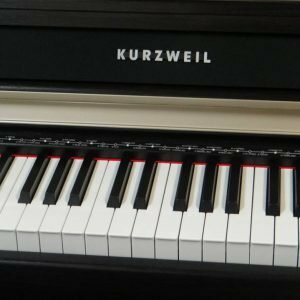 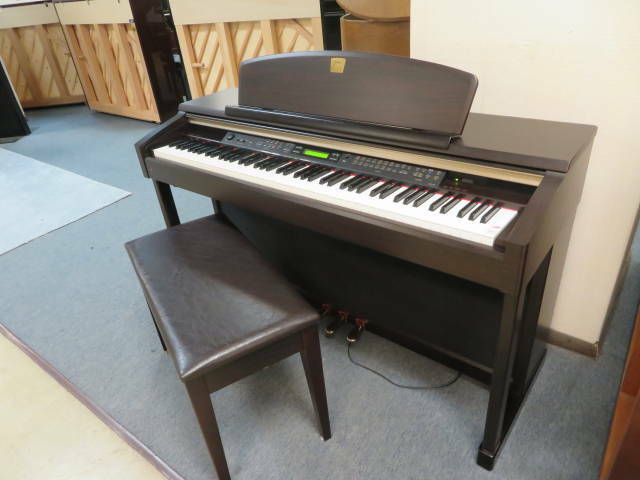 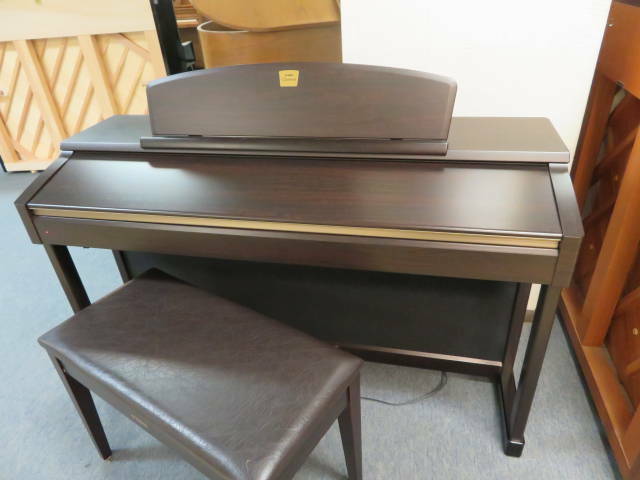 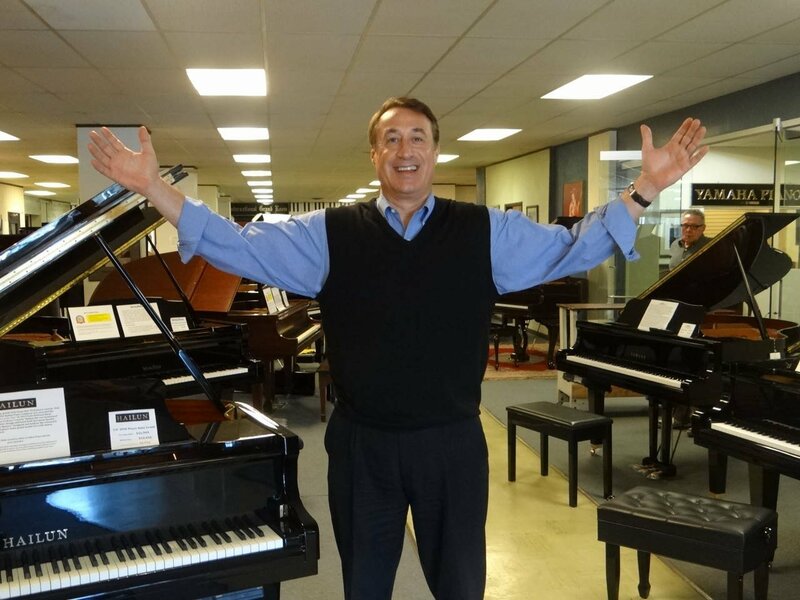 KURZWEIL “DELUXE” DIGITAL PIANO Beautiful Satin Rosewood Cabinet!